Esta é daquelas tendências que se adapta bem para o dia e à noite. Clarooo que um top cheio de transparências, rendas e um bold lip é tudo para uma saída à noite cierto? Mas há aqueles tops mega fofinhos que transitam bem de uma situação para a outra e que dão um ar mais moderno, mais arranjadinho a um look de dia sem ser a típica blusa/t-shirt básica. Por isso lembrei-me de vos mostrar algumas das peças que achei piada nas lojas do costume! Confesso que estou mais que apaixonada pelo top com renda e folhos da Asos! Lindão! Mostro-vos ainda duas sugestões de looks que já partilhei convosco mas que me lembrei que vos podia ser útil. Claramente adoro combinar folhos e rendas com casacos de pele ahah! People say that I'm a little romantic when I dress something these last days. In my opinion, I always have been a little. But the fact that the stores are full of lace, ruffles, transparencies and all these together in one shirt just make me love this trend even more. To me, I love to see lace and ruffles with biker jackets or more masculine pieces to give a twist and take a little bit off the girly side of these pieces. I like a girly but edgy look so this is the ideal way to me! This is one of those trends that looks awesome at day and night. Of course, a black lace top with a bold lip is everything to a night out right? But there are amazing tops that look so nice during the day and they give a more modern feeling to a look instead of the basic shirt ou thsirt right? So I rememberthat I could share with you some of the pieces that I loved from the usual stores! 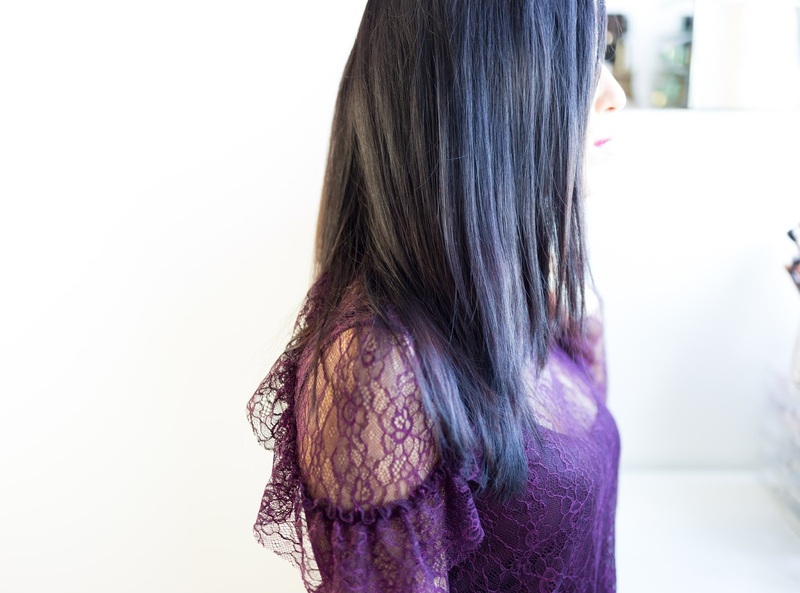 I have to confess that I'm in love with the black lace and ruffles top from Asos! Gorgeous! I share two looks suggestions that I shared with you already but I thought they would look nice here just to give you an idea in how these can look nice during the day! I can see that I love to combine lace and ruffles with bikers ahah! Eu também gosto muito e tenho feito algumas aquisições nesse campo das rendas e transparências. Adoro tudo que é feminino e delicado, além disso, dá para conjugar de várias formas :). Excelente post, o que não é novidade. Também adoro blusas com renda!